Should you grow potted chrysanthemum plants? The chrysanthemum flower has always been iconic, throughout the history of mankind. The chrysanthemum was introduced to the west in the 18th century, through trades with Asian nations. Blooming in China forover two millennia, this beautiful flower is also being used as the official symbol for Mother’s Day. Aside from its aesthetic value, chrysanthemum has also been used for medicinal purposes. However, most gardeners today consider the chrysanthemum as too high-maintenance. This need not necessarily the case. 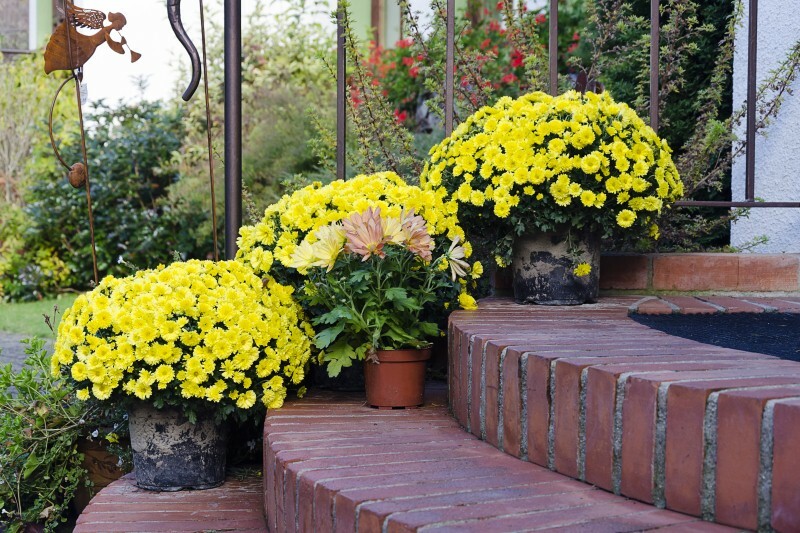 Here are some tips to help you grow chrysanthemum plants in containers. 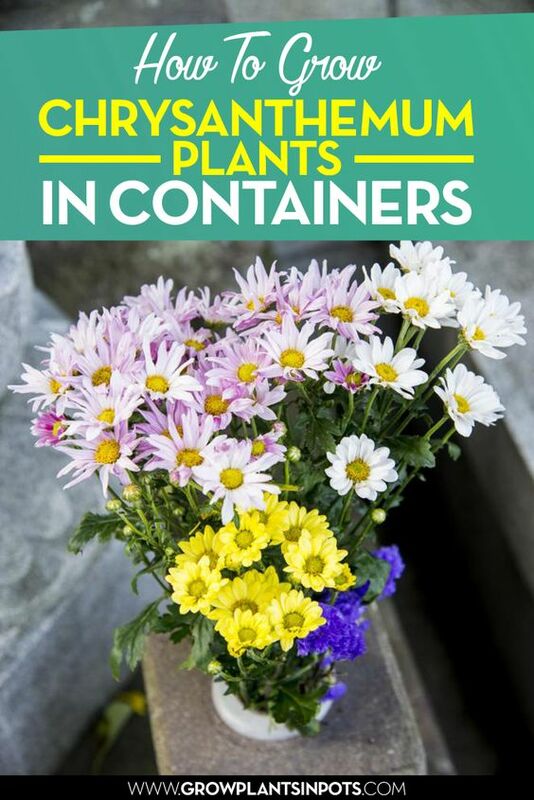 Choose your container: Chrysanthemums make excellent pot and indoor plants, especially since they are small and relatively low-maintenance. In fact, many people give chrysanthemum flowers as presents, while they’re in their pots. With this, choose a plant pot, in which you will plant your chrysanthemum. Clay pots are usually best for this purpose. Make sure that your pot has a hole in the bottom, to allow water drainage. Prepare potting soil: Your soil is of import if you’re trying to grow chrysanthemum plants in containers. The soil in which you plant your chrysanthemums can impact its absorption of water and ingredients significantly, so choose wisely. Chrysanthemum plants grow best in soil that has a pH of 6.5. It is best to use soil that is light and loose, to allow easy flow of water. If you are using thick, heavy soil, you can facilitate fluid flow by adding hardwood chips. Plant your chrysanthemum: Now it's time to place your chrysanthemum plant in your pot! Most gardeners recommend planting your mums during the spring, as extreme heat or cold can impact its growth. However, if it has had six weeks to develop its roots, you can plant it at any time. Dig a hole in your soil that is twice as big as the root ball of the chrysanthemum plant. Before you lower the plant into the soil, remove any excess water that may be building up around its stem. Pack the soil tightly around the plant. Water and fertilize regularly: Chrysanthemum plants, because of their rapid rate of transpiration, may consume water quickly. Keep the soil in its container moist, while ensuring that any excess water is able to get through the soil. You need to water your chrysanthemum plants only once or twice a week. Feed your plant with all-purpose, organic fertilizer monthly. Prune regularly: For your chrysanthemum plants to take on a bushy form in their containers, you can prune their tips once they hit half a foot in height. Do so again once they have grown to a foot. Furthermore, cut off any parts that may have wilted, shriveled up, or rotted to prevent any harmful conditions from spreading to the rest of the plant. Will you grow Chrysanthemum plants in pots? Chrysanthemum plants make for very versatile and pretty plants, which you can grow in almost any container. While most people may consider it as a temporary ornamental flower, you can keep your potted chrysanthemum plants healthy, by applying proper care. You can even propagate your chrysanthemum plants, by snipping off six-inch pieces, applying rooting hormone, and planting it in healthy soil. Plant potted chrysanthemum flowers!